The GOON RDA by the makers of the very popular Monster RTA makes building easy for new and experienced users. This RDA features a innovative bridge styled build deck where almost any sized build can fit with ease. The large 24mm diameter allows for huge builds and a deep juice well preventing leaks. The positive and negative posts are gold plated and features PEEK insulators for great conductivity and insulation. The designer of the GOON RDA, Blueeyedgoon83 is well known for their intricate and beautiful builds. The size of the post holes inside the "Bridge Clamp" design are unmatched in the industry allowing for many different and varied builds. This design features a flat surface with another bridge on top of the surface. You can simply put your built coil on the surface and screw down the upper bridge onto the surface, making a connection! The GOON RDA features three metallic colors including Copper, Brass and Stainless to match flawlessly with your devices. 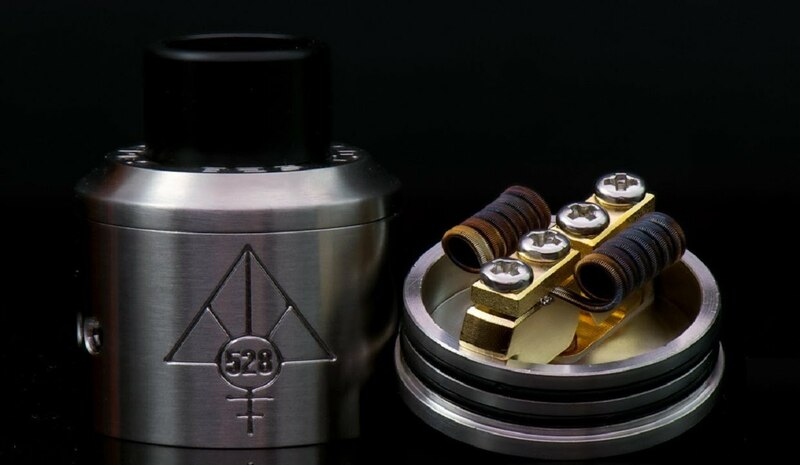 Click the button below to add the Goon RDA 24mm by 528 Custom Vapes to your wish list.